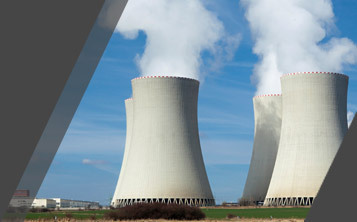 Our products offer several advantages including high efficiency, small footprint, fast startup, high pressure, full modulation, quick response to steam load changes, and safe operation. The Circulatic steam generator is available in sizes up to 600 BHP with design pressures to 530 psig. 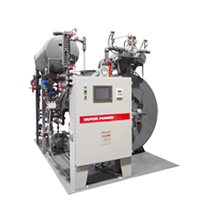 The ability to go from a cold condition to full output in less than 5 minutes offers fuel and labor savings in an auxiliary boiler application compared to large water volume boilers. 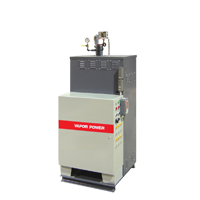 We manufacture a complete line of high voltage electrode boilers and electric steam superheaters, offering the advantage of zero emissions. The BBJ line of electrode steam boilers are available in sizes from 3,000 to 34,000KW, 10,000 to 113,000 PPH, pressures from 100 to 500 psig, and supply voltage of 4,160 to 13,800 volts. The efficiency of the BBJ is greater than 99%. 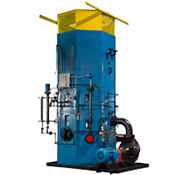 Electric steam superheaters can be provided to superheat a portion of the steam load or the entire load.